He understood, and eventually came to accept that they had a closeness, a bond, that he would never be a part of. The truth was, he believed he was the luckiest man on earth to have these two for a wife and a daughter - it was like getting to live with fairies or mermaids, some breathtakingly beautiful creatures he was not meant to understand fully. Everyone in town had a story about the Devil's Hand, and though the stories differed in detail, one fact remaind the same: it was an evil place, and bad luck to go there. Perhaps all the tragedy and loss I have suffered is someone link to what I did that one day when I was nine. It was funny that she is the person I long for most in times like these, when my heart has been shattered and I see no sense in going on. "We all do what we think is best. Sometimes we make terrible mistakes, sometimes we do the right thing. Sometimes we never know. We just have to hope." I just . . . I didn't find the book scary. Maybe a tad creepy, but nothing so much beyond that. This book is marketed, at least by those on Goodreads, as a "horror" novel but I didn't view it as such. I thought of it more as a mystery, with a dash of spookyness (yes, that's a word). The novel revolves around Visitors from the Other Side: The Secret Diary of Sara Harrison Shea, a novel put together by her niece through diary pages she had found hidden around Sara's house after her murder in 1908. Sara is somewhat of a legend around the small Vermont town, both for the things she wrote about and the fact that people saw her after her death. 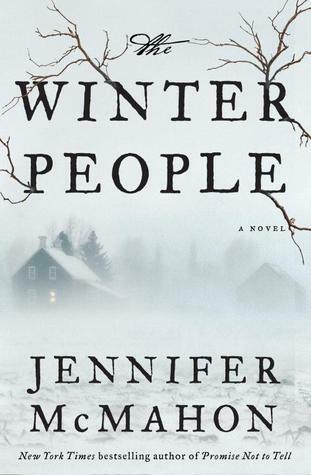 The narration of The Winter People is told from multiple perspectives: those in 1908 and those in present day. The multiple voices/time periods may sound confusing, but Jennifer seamlessly flows from one to the other while keeping her readers on their toes. While it sometimes leads to a bit of confusion as to what is going on, that confusion keeps you reading in order to get your questions answered. You need to know why these things are happening and what is going to happen to these characters. The setting is perfect. A small town in Vermont, a farm house in the middle of nowhere surrounded by woods. I get chills just thinking about it. I found Sara's diary entries to be fascinating, sometimes more so than the present day stories, and I wanted to know more about her. Overall, I did enjoy The Winter People, but I was expecting something more scary. More of an up all night and afraid to look at my closet door type book. Jennifer's writing is superb and she keeps you wrapped up in the story. Her descriptions are spot on and engrossing, leading you uneasy feelings and a tension that doesn't allow you to relax until you've finished.